This work by Katrin Miller is licensed under a Creative Commons Attribution-Noncommercial-Share Alike 3.0 Unported License. A whole week dedicated to Shashi! Beth is already celebrating it in ishtyle and has created outrage among other filmi heroes - you don’t believe me? na ja ist ja auch kein wunder. oh em gee! Faaaab! Everyone is so jealous! 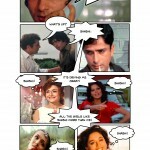 Even Shashi might have a hard time fighting off the Big B and the babiest super-Kapoor! Heh heh heh!!!! Very very clever! Now that I think about this further (I’ve given up on my brain being able to do anything non-Shashi-related this week), you might have a quite interesting anthropological point: is it in fact true that a majority of women prefer Shashi over Amitabh? 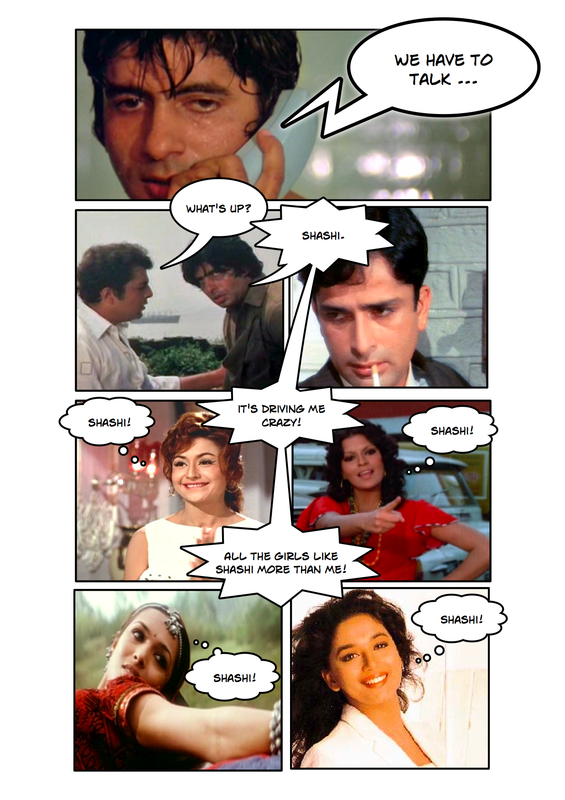 Or at least, do more women prefer Shashi over ANYONE than men do? I bet that’s true. Men don’t seem to be as under the sway of the Shash, and I think there’s more to it than a sort of vague majority heterosexuality going on. Which leads me back to your point - they are THREATENED. there are things that we don’t want to happen but have to accept, things we don’t want to know but have to learn, and people we can’t live without but have to let go…. This should help me to fix the issues which i have got, many thanks…. I am impressed with this internet site , very I am a fan …. Have been searching for some decent information on this for awhile now thats for the great article…. I saw something about this topic on TV last night. Great article…. Discovered your web site and decided to have a quick study, not what a normally do but nice 1. Great to see a weblog for a change that isn’t full of spam and rubbish, and really makes some sense. Anyway, great write up…. Well I really liked reading it. This information offered by you is very useful for correct planning…. free bitcoin cash on GAAAAH!!! free bitcoin cash on Hwæt. Zum zweiten.